If I’ve said it once, I’ve said it a hundred times but you’ve got to admit this cover’s cover is on fleek. I mean, the black, red, and green combination? Classy. Also the illustrations are super cute, kind of cartoon like, yet very detail oriented. And I know, I know, you aren’t supposed to judge books by their cover, but judging is a negative right? So, you’re allowed to think that the book is better than it maybe is, because you think the cover is gorgeous. 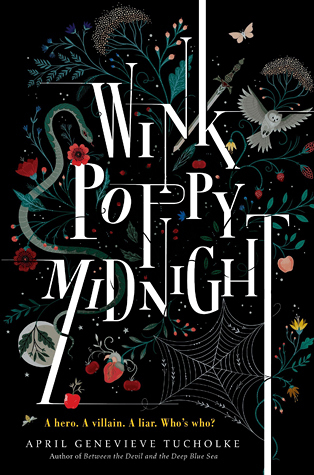 I really don’t know a whole lot about this book except of there being a love triangle between characters named Wink, Poppy, and Midnight. I also know Wink is supposed to be an odd mysterious redhead, Poppy is the blonde, beautiful, and manipulative queen bee, and Midnight is the sweet, uncertain boy caught between them. Hmm… Can I just make the wild assumption that Wink gets together with Midnight at the end? It just sounds kind of cool, very different from usual young adult literature, so I thought it might be good to try it. Hope this author is good at writing romance though, because let me tell you it’s not easy, and it seems like this love triangle is the center of the story. Case in point: Avatar the Last Airbender (not the terrible movie with blue people but the cartoon one). I mean, are the characters, plot, jokes, descriptions, script, and anything else you can think of amazing? Yes, yet the romances in the series are very poor, and while you know the writers can just make an amazing plot, that doesn’t mean they’re good at romance. Anyways I “ehm ship Katara and prince Zuko ehm ehm”. Because everyone knows Aang belongs with Toph... Also using the names of the three main characters is a very creative idea. This short description contains spoilers if you haven’t already read the first book. Lara Jean and Peter finally get together to Lara Jean’s relief, only for a very intimate video with her and Peter to be leaked onto an Instagram page called Annoybitch by someone (assumed to be the before mentioned Peter’s jealous sadistic ex Genevieve). 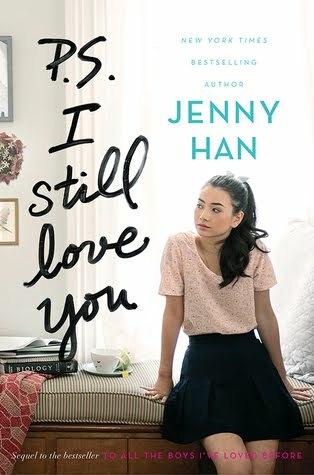 Lara Jean finds out that Peter doesn’t believe her that Genevieve was the one who did it, and starts realizing that maybe Peter isn’t ready to let go of Genevieve just yet. This of course upsets her, and makes her reevaluate their relationship which gets attacked over and over by the jealous Genevieve. I started reading this right after To All the Boys I’ve loved before due to my excitement about this duology. I mean strong main character emotionally as well as academically, and then “boom” it kind of disappoints you. I mean don’t get me wrong, this book is so much better than most sequels, however since the first book was so good I kind of had high expectations. It would still be great if it was a standalone book, but the anticipation kind of adds up to your overall feeling about this book. Because after all, you’ve probably gotten your heart broken by a sequel so bad you stated questioning the first book. Also, no matter how many times you experience it, it never really gets easier when it happens again. Am I being too dramatic? 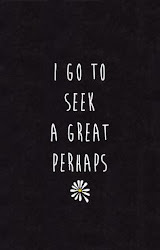 Definitely not, I mean have you read this book?? And,you know what’s worse? Experiencing a mild trauma after the sequel lives up to your expectations, and is maybe even better than the first book (this says a lot as it isn’t common) and then in like the last two pages which completely make you furious to the point where you want to discuss it with strangers on the world wide web… Why, hello there! Why did I go into such extent in explaining this? Well, this book is all of those things.Did it exceed my expectations? Yes. Was it better than the first book? Probably. Was the ending terrible and made me throw up in my mouth a little? Yep. How could a book’s ending be so disappointing you ask? Well, when you first meet Lara Jean’s love interest/boyfriend you’re like well maybe the author is just bad at romance? You know that’s okayTo sum it all up, I ship Lara Jean and John nearly as much as I ship prince Zuko and Katara. I mean, aren’t they perfect together (both of them). I’m actually starting to see a lot of similarities here! I mean both the writer (of P.S. I Still Love You) and the creators (of Avatar: The Last Airbender, not the blue one, don’t insult me reader!) both make a perfect match and then (possibly intentionally or maybe not, no one is really sure, take that perfect match and pair them up with someone we know they wouldn’t be anything more than friends if they weren’t made to be couple. Okay, second problem with the book: Peter. I know the author is trying to pull of the classic nerdy girl thinks she hates the popular guy but then realizes she loves him, only to realize that the popular guy loves her as well and dumps his popular and pretty girlfriend for her. It’s the classical Cinderella plot, except prince charming is the bad boy which is amazing at sports and gets invited to all the parties, (extra points if he’s also the quarterback and his girlfriend is a cheerleader in their school football team). Because let’s face it this happens in books more than we like to admit, yet the author likes to think she’s the first one to ever invent this plot twist. Ever heard of the Duff? Or John Tucker must die? Or every teen movie ever? At this point, no one can pull it off without being repetitive. You could basically write an every teen book ever book report, and if you just didn’t list the character’s names get away with it. What I don’t like about Peter is that he’s this character that loves Lara Jean yet defends his old girlfriend because she was his first girlfriend. Even if it’s obvious that Lara Jean is right, like all of the time. Who even are you Peter? A polyamorist? Okay that escalated quickly. But you know what I mean right? He’s like oh no, she’s only my very good friend and then they kiss and Lara Jean stops talking to him for like a day and then they just get back together. This basically describes the love triangle in this Jenny Han duology. but maybe, she just loves him too much to bear the thought of leaving him, I wouldn’t know because I would have long dumped someone as un-gentleman like as Peter Kavinsky. I mean really? He told everyone to call him only Kavinsky as it sounds cool. Maybe I’m getting so worked up over nothing, but a character like Lara Jean deserves someone better. Like I don’t know John? Ugh, I ship them so much!!! I mean I was so excited that the author was getting so good at romance, and maybe even that she purposefully used Kavinsky as Lara Jean’s first boyfriend to show that there is someone for everyone out there. You know as an example that if she didn’t take charge, she would have ended up with him. Yeah, no such luck. 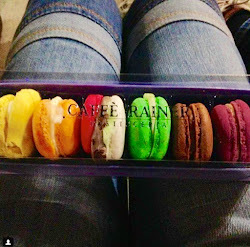 Because at the very end Lara Jean get’s together with Peter at the very last moment, because she feels bad about leaving him, or for some other totally barmy reason. After saying all that, it also had many strong points. The book had strong characters, discussed the loss of a loved one as well as love. And while Lara Jean was an okay main character I have to stay there were many characters I liked more than her. That’s another thing about this book duo logy: It has these complex characters and even though there are many of them, they somehow don't seem to be pushed into the story. Another interesting narration and story choice is Lara Jean being half American, and half Korean. Except of Park from Eleanor and Park, I don’t remember any character from a renowned book that is not American or British. It’s true that having American or British characters helps make the book more relatable, however having a character (even more if it’s the main character or one of the main characters) that is a nationality that the reader might not know a lot or perhaps know only very little about, adds this new depth and opportunity for the author to expand and maybe compare and contrast their culture to ours.